Also need a Raspberry Pi? The best value is the Starter Kit, which includes all you need to get started from scratch! . Raspberry Pi (GoPiGo is compatible with all version of the Raspberry Pi): This board is the main brains of the robot that will connect to the GoPiGo board. MicroSD Card: Required “hard drive” for the Raspberry Pi (comes with Dexter Industry’s custom software “Raspbian for Robots”). Ethernet Cable: Required for plugging in to your computer to program the GoPiGo. Batteries: GoPiGo requires 8 AA batteries, which are not included. The GoPiGo is stacked on top of the Raspberry Pi without the need for any other connections. Communication between the two occurs over the I2C interface. 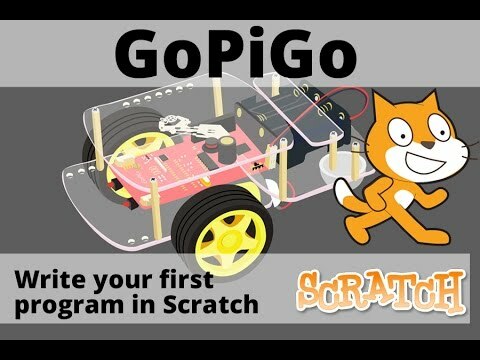 You can connect motors and sensors to the GoPiGo. The GoPiGo has 4 ports on it on which various Grove Sensors can be connected. There is an Analog, Digital, Serial and I2C port on the GoPiGo. There is also a connector to connect the Servo motors and another connector to connect upto 3 line sensors on the GoPiGo. All the motor control and sensor I/O on the GoPiGo is done by an ATMEGA328 microcontroller on the GoPiGo. 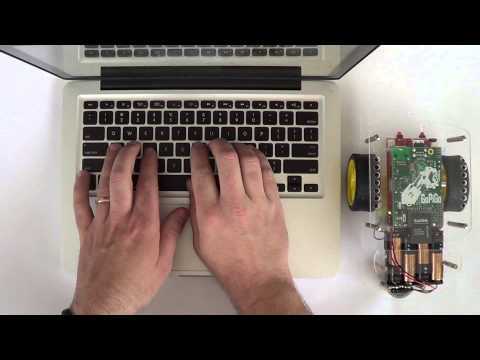 The microcontroller acts as an interpreter between the Raspberry Pi and the GoPiGo. It sends, receives, and executes commands sent by the RaspberryPi. In addition, the GoPiGo allows you the Raspberry Pi to access some Grove sensors directly. The Raspberry Pi has an I2C Bus by which sensors connected to the I2C Ports can be directly accessed.